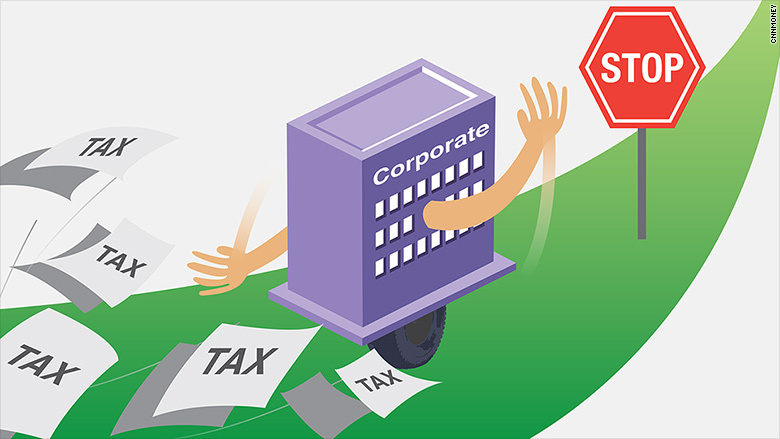 Campaigners say proposals by leading economies to crack down on corporate tax avoidance do not go far enough. U.S. companies moved $500 billion to $700 billion in profits to countries with low or no corporate tax rates in 2012 alone, according to new research published by tax reform campaigners Tuesday. Tax avoidance on such a large scale means the U.S. accounts for about 71% of profits worldwide that go missing from the country where they're made, they said. "U.S. multinationals make 65 percent of their sales, employ 66 percent of their staff and hold 71 percent of their assets in America but declare only 50 percent of their profits in the country," the report by Oxfam, Public Services International and the Tax Justice Network concludes. The Organization for Economic Co-operation and Development estimates companies legally avoid paying $100-$240 billion in taxes per year. The OECD has been working for two years on a series of steps countries can take to modernize tax laws so they can bring that number down. G20 leaders will be asked to sign up for the measures when they meet in Turkey starting Nov. 15. The G20 has vowed to reform tax policies, including forcing multinational companies to share more data with national authorities. But the campaigners say governments are still not doing enough. "Major (economies) resisted even the minimal transparency of allowing companies' country-by-country reporting to be centrally collated and analyzed," they said in the report. Low tax countries such as the Netherlands, Ireland, Luxembourg and Bermuda benefit greatly from laws allowing companies to book profits even if sales are made elsewhere. The report claims that U.S. multinationals book only 0.3% of their sales but more than 3% of their gross profits in Bermuda, which does not tax corporate income. "Public anger will grow if the G20 leaders allow the world's largest corporations to continue dodging billions in tax while inequality rises, austerity bites and public services are cut," said Rosa Pavanelli of Public Services International. G20 countries may lose the most tax dollars, but developing countries are worse off because corporate tax makes up a larger portion of their national income. "It is estimated that Honduras could increase healthcare or education spending by 10-15 percent if the practice of profit shifting by U.S. multinationals was stopped," the report stated.